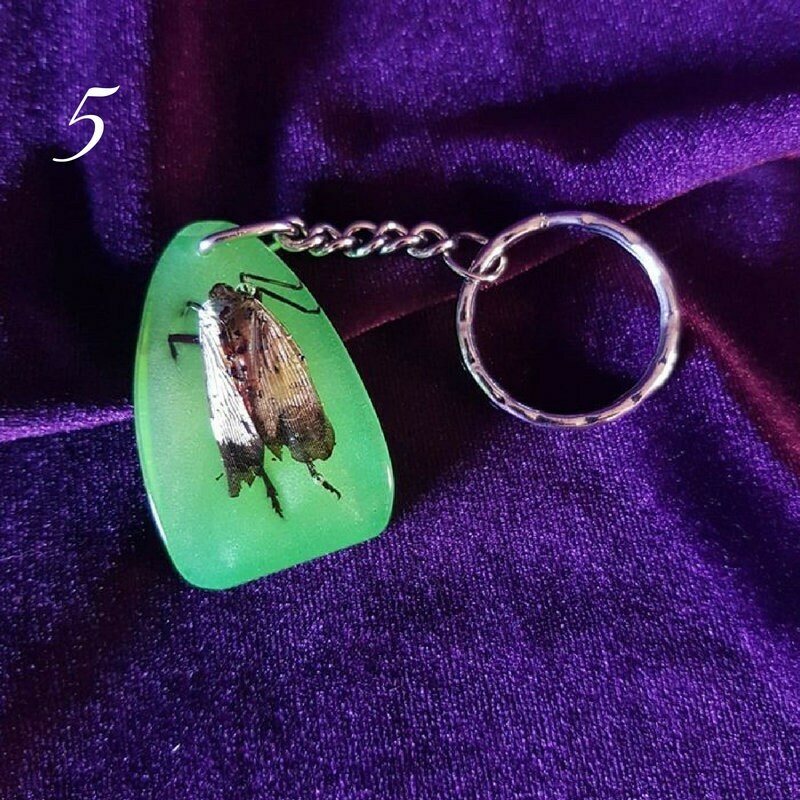 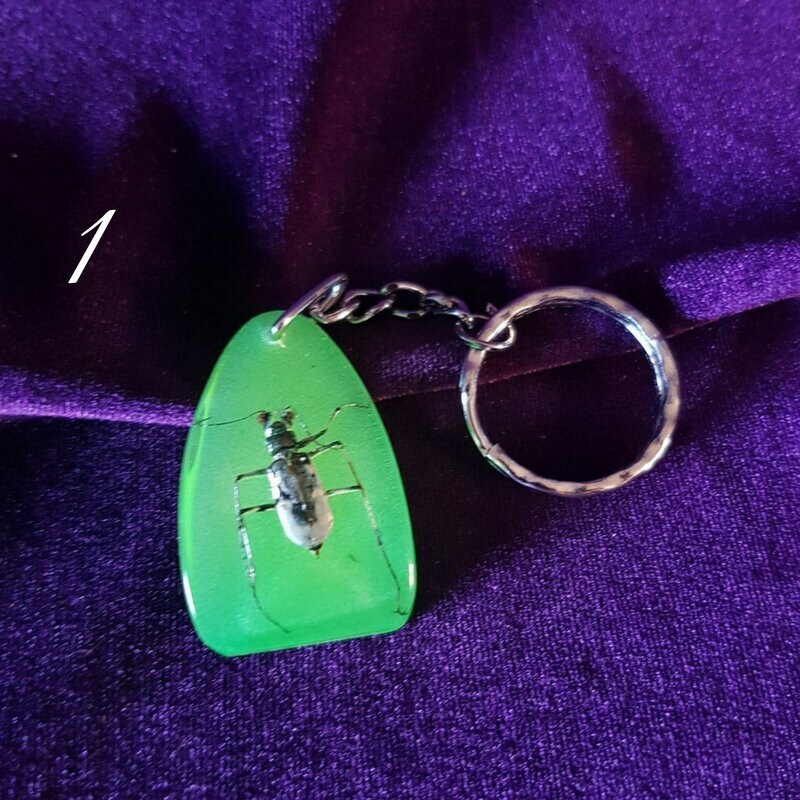 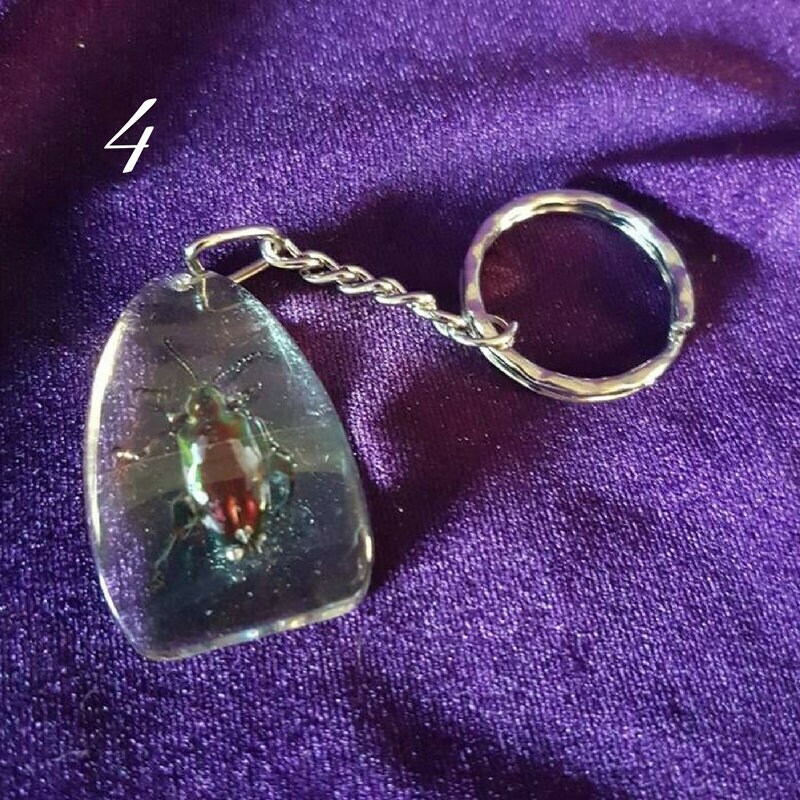 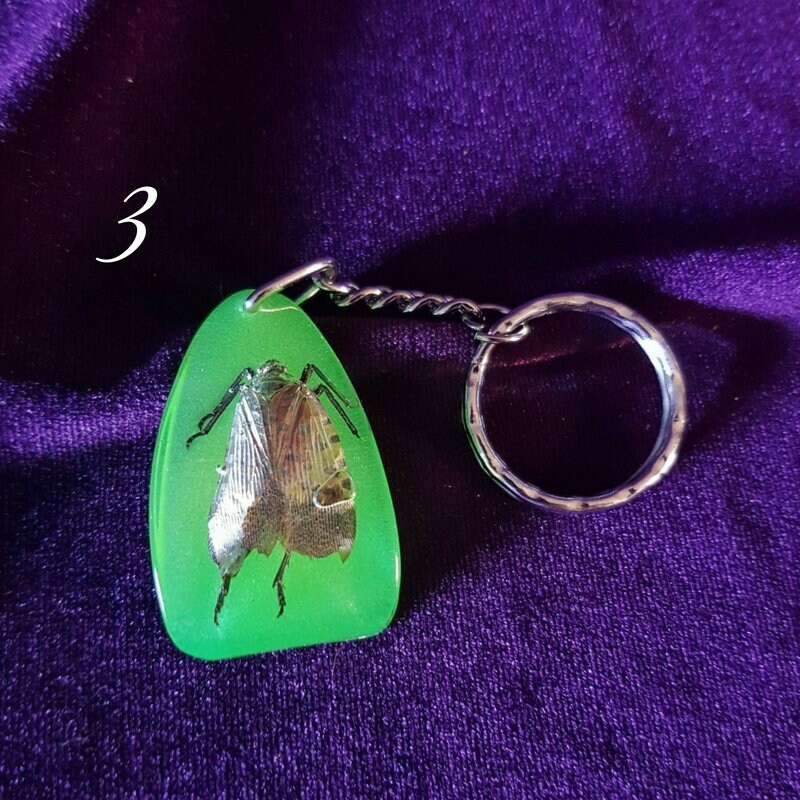 Keychains are made out of resin with different sorts of insects. 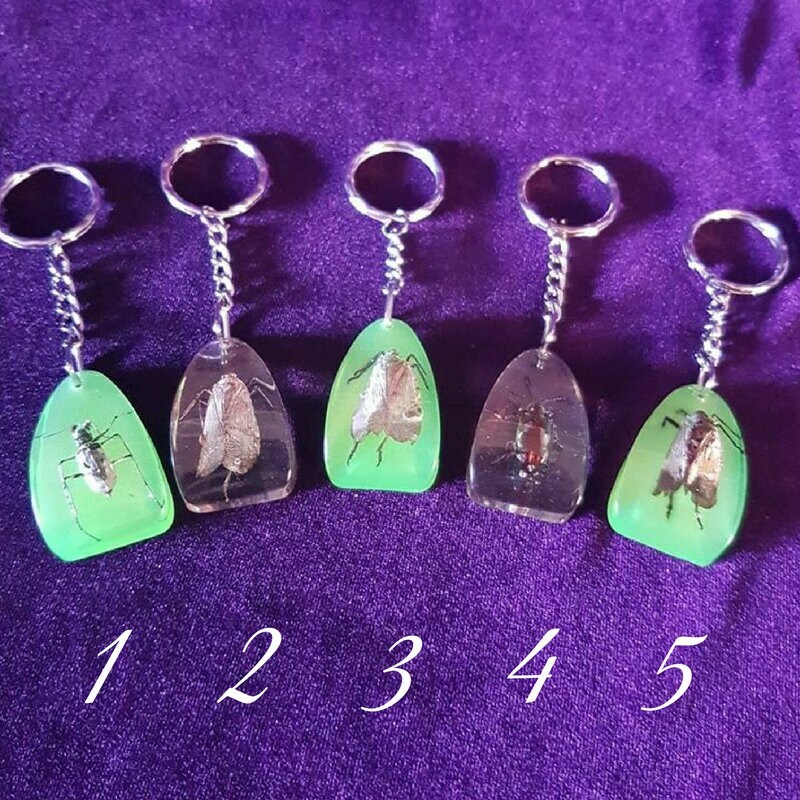 The green ones glow in the dark after being charged with light. 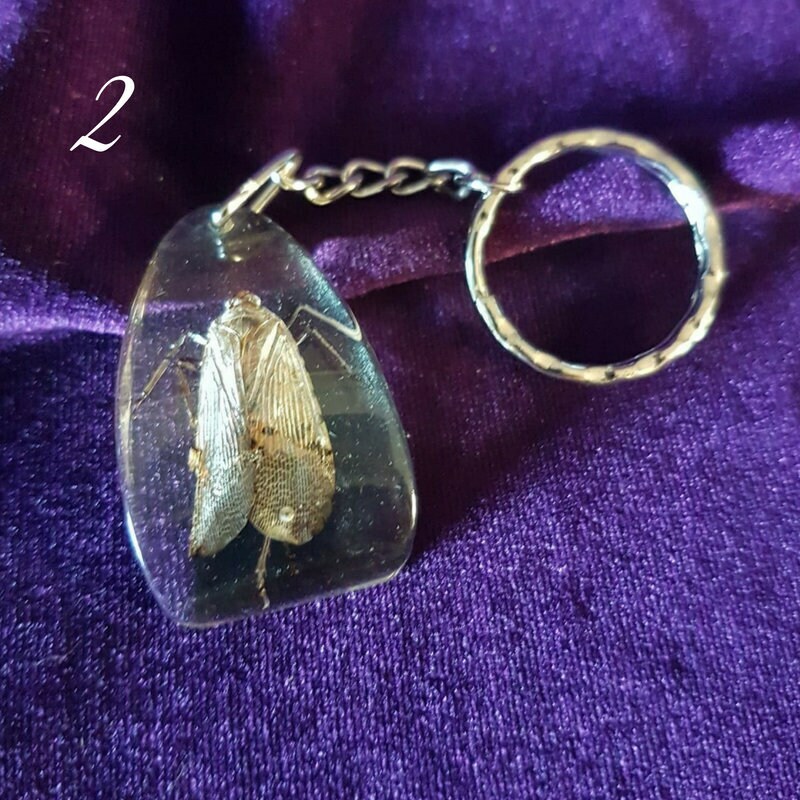 5 Sorts available, make your choice in the dropdown box.